Fisheries management has been characterised by failure rather than by success. Weak or dysfunctional governance systems have resulted in fishers operating under perverse incentive structures, leading to the economic and biological overexploitation of fish resources, and threatening the very existence of some species. Amongst the widespread failure, there are nonetheless some success stories. 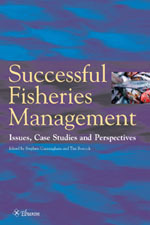 This book centres around seven case studies, ranging from the Pacific halibut fishery to traditional community-based management in India, from the Australian Northern prawn fishery to artisanal fishing in Senegal, and from co-management initiatives in Shetland, the management of hake fisheries in Namibia, to the Mauritanian fish trade, each of which demonstrates some facets of successful fisheries management. The failure of fisheries management has been widely analysed, its successes far less so. Successful Fisheries Management outlines ways to improve fisheries management, by drawing on successful management experience to identify the fundamentals of good practice. Given the multi-faceted nature of success, there is no unique recipe. 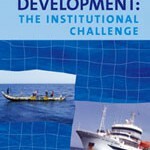 The book suggests however that, for those involved in the development and promotion of more effective fisheries management, the major challenge is not to do the same things better, but to do them differently. 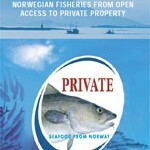 The authors of this book are all specialists working in the field of fisheries management.